Missing data is frequently observed in clinical trials; high rates of missing data may jeopardize trial outcome validity. 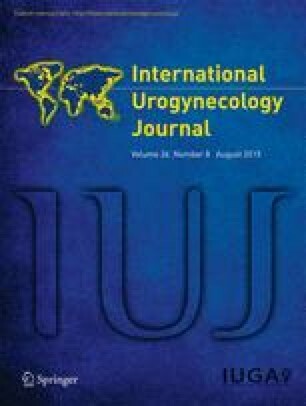 We determined the rates of missing data over time, by type of data collected and compared demographic and clinical factors associated with missing data among women who participated in two large randomized clinical trials of surgery for stress urinary incontinence, the Stress Incontinence Surgical Treatment Efficacy Trial (SISTEr) and the Trial of Midurethral Sling (TOMUS). The proportions of subjects who attended and missed each follow-up visit were calculated. The chi-squared test, Fisher’s exact test and t test were used to compare women with and without missing data, as well as the completeness of the data for each component of the composite primary outcome. Data completeness for the primary outcome computation in the TOMUS trial (62.3 %) was nearly double that in the SISTEr trial (35.7 %). The follow-up visit attendance rate decreased over time. A higher proportion of subjects attended all follow-up visits in the TOMUS trial and overall there were fewer missing data for the period that included the primary outcome assessment at 12 months. The highest levels of complete data for the composite outcome variables were for the symptoms questionnaire (SISTEr 100 %, TOMUS 99.8 %) and the urinary stress test (SISTEr 96.1 %, TOMUS 96.7 %). In both studies, the pad test was associated with the lowest levels of complete data (SISTEr 85.1 %, TOMUS 88.3 %) and approximately one in ten subjects had incomplete voiding diaries at the time of primary outcome assessment. Generally, in both studies, a higher proportion of younger subjects had missing data. This analysis lacked a patient perspective as to the reasons for missing data that could have provided additional information on subject burden, motivations for adherence and study design. In addition, we were unable to compare the effects of the different primary outcome assessment time-points in an identically designed trial. Missing visits and data increased with time. Questionnaire data and physical outcome data (urinary stress test) that could be assessed during a visit were least prone to missing data, whereas data for variables that required subject effort while away from the research team (pad test, voiding diary) were more likely to be missing. Older subjects were more likely to provide complete data. Dr. Brubaker received grant funding from the NIH and is a section editor of Up-To-Date. A. Stoddard was a shareholder of Bristol-Myers Squibbs and Johnson & Johnson with no compensation. H.J. Litman, H. Kim, P. Zimmern, K. Dyer, J. Kusek and H. Richter have no disclosures to report. Supported by cooperative agreements from the National Institute of Diabetes and Digestive and Kidney Diseases: U01 DK58225, U01 DK58229, U01 DK58234, U01 DK58231, U01 DK60379, U01 DK60380, U01 DK60393, U01 DK60395, U01 DK60397, and U01 DK60401. Also supported by the National Institute of Child Health and Human Development and Office of Research in Women’s Health.